Israel heightens security measures in preparation for heavy protest after Trump told Mideast leaders he intends to move the U.S embassy to Jerusalem. Palestinian factions in the West Bank announced on Tuesday that they would carry out three days of protest across the West Bank over U.S. President Donald Trump’s expected decision regarding American policy on Jerusalem. Trump on Tuesday told Palestinian President Mahmoud Abbas and Jordan’s King Abdullah II he intends to move the American Embassy in Israel from Tel Aviv to Jerusalem. The Israeli defense establishment is preparing for the demonstrations ahead, with intelligence assessments based on decisions taken by the PA and by different factions within Palestinian society. Most of the activity is expected to take place in city centers, near American embassies and consulates. 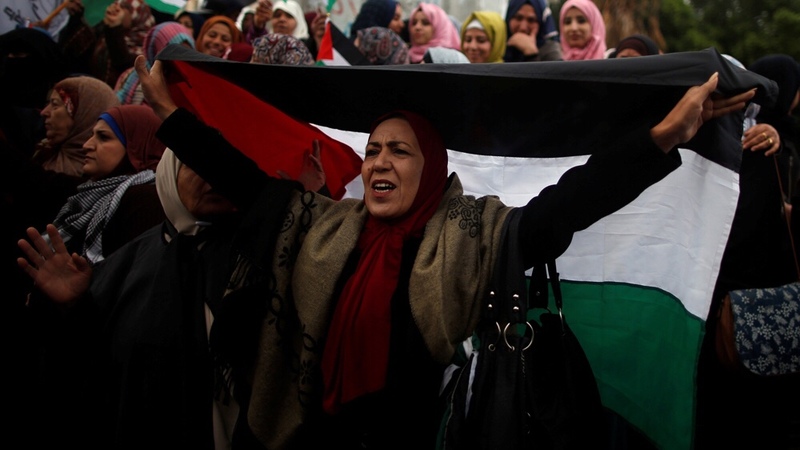 The main procession is planned for midday Thursday in al-Manara Square in Ramallah. People from across the West Bank are expected to join the march. 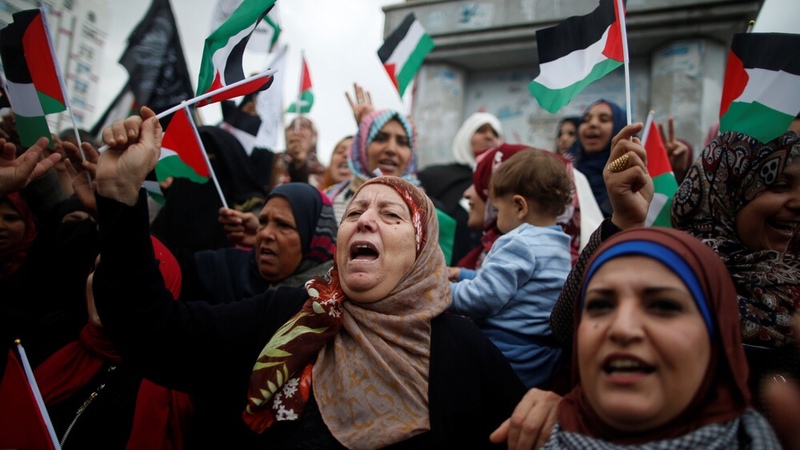 On Wednesday, a large demonstration is scheduled to take place in Jenin. The Israeli military has decided to augment forces, mainly at prominent friction spots where soldiers come into contact with Palestinians. Further reinforcements will be made based on operational needs and according to developments. The police are also preparing, with reinforcements planned for Jerusalem and around the American embassy in Tel Aviv. Thousands of policemen are expected to be on duty in Jerusalem on Friday. The main concern is that lone wolf attacks will be carried out by perpetrators across the city.